As the centre's first full year came to a close, our touching New Years celebrations welcomed the new year in a spirited and warm fashion! A night of meditation, dance, music, food and festivities lit up everyone! Meditators gathered from afar to soak in the charged atmosphere and the grace of Sadhguru. The highlight of the evening was a special performance by the renowned Bharatanatyam dancer Vena Raphael with her mesmerising tributes to Shiva, Devi and Sadhguru leaving many with dewy eyes. In typical Isha style, the event concluded with rapturous dancing to welcome the new year with the rhythmic beats of Sounds of Isha. 2019 promises to be a rich and potent year for Isha UK, with Samyama preparations now well underway and Sadhgurus April Inner Engineering Completion programme on the horizon. To usher in 2019 in style, our Isha Shoppe has had a makeover! Our vibrant array of consecrated items is now the pride of the center, as are our wide range of copper and clothing products. Make sure to come and discover the many ways to deepen your inner well-being. To support the Samyama programme, a new range of Samyama clothes are now available in the Shoppe. These are available to all meditators and are made of organic cotton; an excellent, breathing material to support you and your practices. Moreover, increasingly more programmes to deepen sadhana are being offered in the coming months. If you would like to make use of these please see our schedule. hroughout December volunteers have continued to furrow paths into various public bodies, corporations and NGOs to introduce those in the hectic business lifestyle to simple yogic practices that can enhance their capabilities multifold. A significant step included conducting an hour-long session for Panasonic at the Royal College of Art in Kensington. A packed room of employees learnt simple tools that activate the joints, alleviating stiffness that can be built up by long periods of sitting in front of a desk. We are overjoyed to see an ever increasing number of requests from corporates to conduct short yoga sessions at their offices and look forward to many more on the horizon. 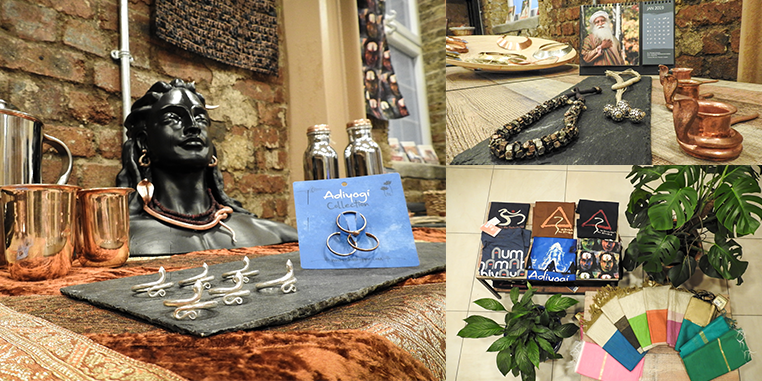 If you would like to bring Isha Yoga to your business please do get in touch with us at london@ishafoundation.org. To spread a spark of spirituality across UK & Europe this year there are 6 advanced programmes planned throughout the continent. The centre has been deeply involved in preparing and coordinating these events, a mammoth task as hundreds of participants are expected. If you have completed the Shoonya or Bhava Spandana it is certainly deeply transformative experience to come back and make it happen for others as a volunteer. Beginning 2019, we are offering several programmes for the first time which have not been scheduled by the Foundation in Europe as of yet. A 3-day format for Yoga for Eye Care is now open to those who have not completed a hatha yoga module. Also, between the 16th and 18th of February, the centre will host its first Diabetes Management Programme! This wholistic workshop will introduce you to powerful yogic practices such as Jala Neti, Surya Shakti and dispense practical advice on diet and lifestyle to restore balance to your system. Register above! 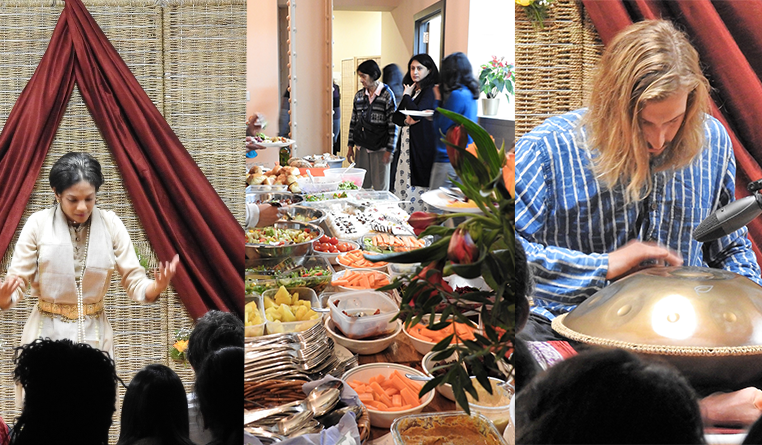 Last year saw over 120 meditators come together to celebrate Mahashivaratri at the london centre. The upcoming Mahashivaratri on the 4th of March promises to be of even greater proportions as it marks the 25 th year of these celebrations at Isha. Pencil in the date and be sure to join us! A New Years Resolution is a vision for ones life and the world. Whether you are trying to take up something new or leave behind old habits, a resolution is a commitment to individual transformation. You can take a fresh look at yourself and let new possibilities unfold. Isha yoga cultivates this involvement and awareness in our day-to-day lives. Committing even just thirty minutes a day to our wellbeing can enlarge and enrich our experience of life and let us conduct ourselves with more balance and less friction. 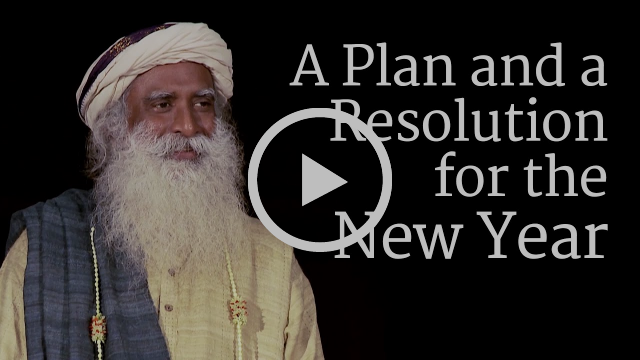 Whatever your vision for the new year may be, bringing awareness into our lives can help us consciously create our experiences and bring about transformation. With a little effort, life can be a possibility beyond all imagination. These sessions only happen with support, and we are incredibly grateful for all the donations that make the running of the centre a reality. If you would be interested in supporting, please see the button below for our donation page. Any amount, however small, is greatly valued!